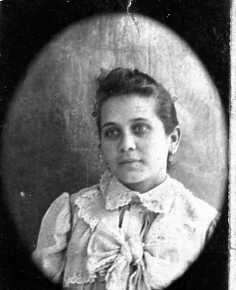 Andre Pallares (1867) and Maria Ramirez (1877) were both born in Chihuahua Mexico. 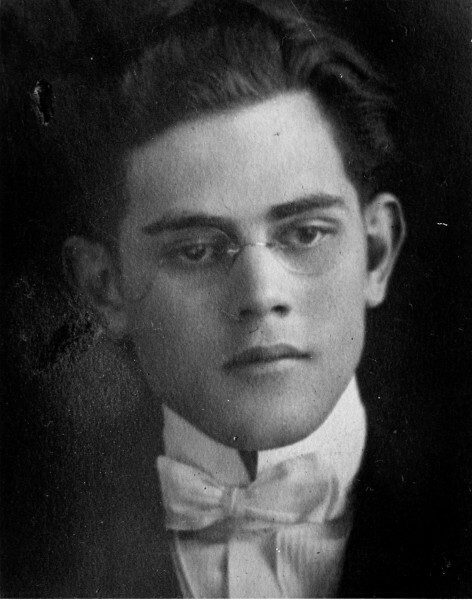 His parents were Cristobal Pallares and Felipe Robles. 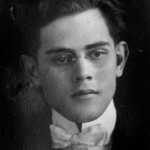 Felipe died in Los Angles in 1950. 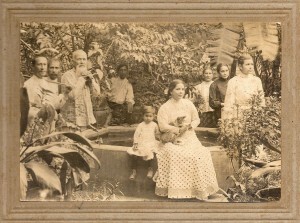 Maria’s parents were Concepcion Robles and Sotera Ramirez. It is believed that Andre and Maria immigrated to the United States around 1902. He was 35 and she was 25. They had two girls and two boys together although the first boy, Jose died at the age of two. 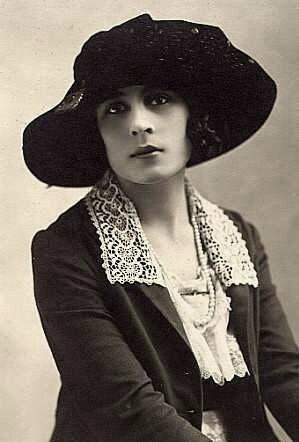 Their second son was also given the name Jose and he would also die relatively young, in 1897, at the age of 12. Their first known residence in the United States was in 1923 on Adams Street located in central downtown Los Angeles where Andre worked as a tobacco blender for a cigar factory. 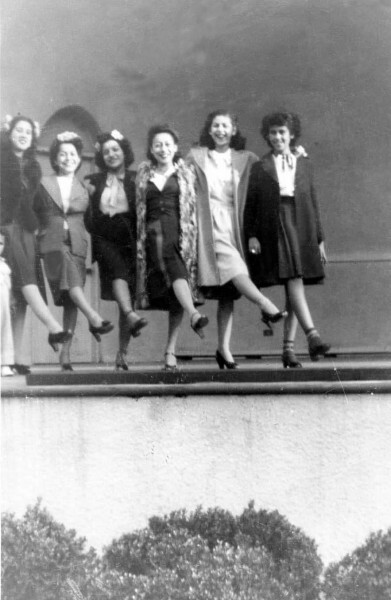 They then moved to Spruce Street, “up the hill” as it was known by the people on ‘Solano Street’. It was located on the hill area called La Loma that separated Solano Canyon from Chavez Ravine where Dodger Stadium now stands. The 110 (Harbor) freeway and the tunnels that spanned Solano Avenue just down the hill were also built during this time. Their two daughters, Marie (1899) and Connie (1901) both born in Juarez, Chihuahua were socialites who had many parties, influential friends and according to Camille, Marie’s youngest daughter, a boyfriend of Marie’s was associated with the movie industry as either an actor or producer. 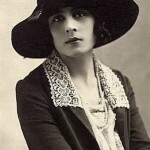 Marie as well as Connie were beautiful women and are shown in many photos in costumes or fashionably dressed with large brimmed hats in the style of the day. 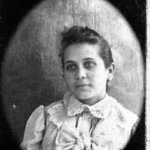 Connie (Concepcion) married twice and had children from both marriages. Her first marriage to Joaquin Milan was a disaster. A flirt and a womanizer, Joaquin up and left the family and Connie was left alone with three children. She married again three years later to Earl Curry and had two children by him. 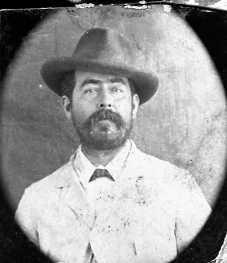 Marie’s future husband Honorio Llamas Garcia was born in Autlan de la Grana in 1895 to Mauricio Llamas and Donaciana Garcia de Alba. Their marriage had been arranged according to custom. And Donaciana had already had a boyfriend and was in love with him. In the end she terminated the relationship and married into the Llamas family and household. Number 87 Zaragoza Street had been the family home for several generations and the family owned many acres of ranch and farm land and many rental properties throughout the city. Jaime, Honorio’s brother, in later years would play a central role in the business and welfare of Autlan having been a former mayor and representative for the region including treasurer of the state of Jalisco. Zaragoza Street is listed as Ignacio Zaragoza on the map and now intersects with the recently, newly named street of Carlos Santana (named after the famous guitar player born in Autlan) situated one block north of the house. One of two streets in town baring the family name is Antonio De Borbon. This was Donaciana’s mother’s maiden name and parallels Zaragoza the next block directly south. It is custom for men to take on their mother’s maiden names. 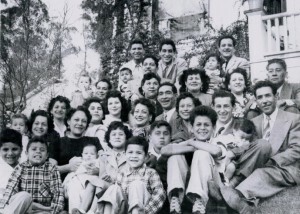 Hispanic surnames usually include the names of one’s father and mother, the father’s name preceding the mother’s name. This practice plays havoc when attempting to construct an Americano Genealogist pedigree chart but was a normal thing for the Spanish to do. Many times a person would choose the most prominent of the family names to go by. A family name could be money in the bank and could carry weight especially of your predecessors were courageous, prominent or well connected. And so Antonio de Borbon who was actually Antonio Garcia de Alba took his wife’s maiden name since the Bordon’s were descendants of the Bourbon family; the French aristocracy that ruled Mexico for a short period. Not too far and east of the family home is a newer street named after Don Jaime himself. It is called Jaime Llamas and only runs a few blocks but terminates at Jaime Llamas Garcia secondary school. 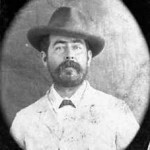 In 1911, the year the Revolution began, at age 16 after a dispute with his uncle Bonifacio who was stealing money from his now widowed mother, Honorio left home and headed for Los Angeles. He was giving up a life of relative comfort and prestige but the family was well practiced in humility as Don Jaime’s life would later attest too. 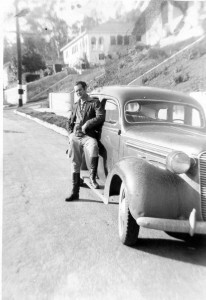 And this also described Honorio, who seemed to be content working at Hoffman’s Candy Company in Los Angeles. It may have been just providence that his leaving Mexico was timed just as Mexico’s troubles were just getting started. In Jalisco there were marauding bands of men fighting for one side or another who would impress men into their ranks. Many men migrated north to safety and to look for work in the United States where wages could be many times what they could earn at home. Honorio arrived in California in a little more style than the average Mexican. Although not terribly rich, he was educated, had money in his pocket and had friends who welcomed him and showed him around. 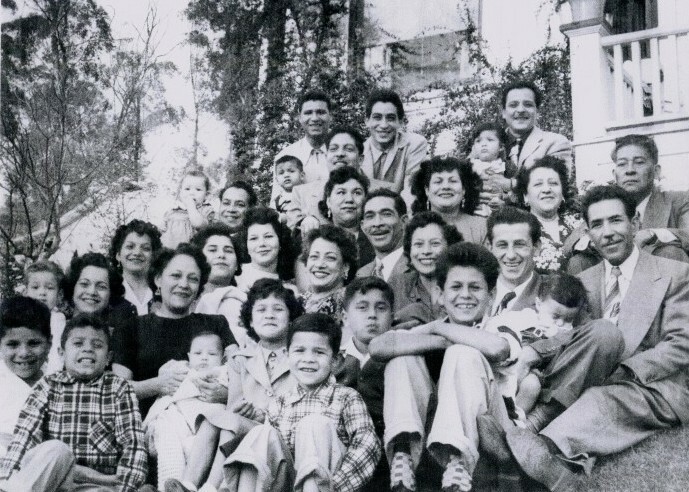 Shortly after arriving from Mexico and prior to his job at the candy factory Honorio went to work for the Luna family who had a Laundry business in Los Angeles. It is unknown how Honorio and Marie met but it has been suggested that the Luna’s knew Andre Pallares, the father of Marie. 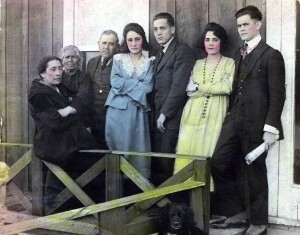 Marie and Harry (The name Honorio decided to go by) were married on April 24th 1923 at Saint Joseph’s Catholic Church on 12th Street in Los Angeles. They originally lived at 928 East Adams Street in L.A. where on June 24 1924 the first daughter Grace was born and was followed by Thelma Marina in September 10th of the next year. 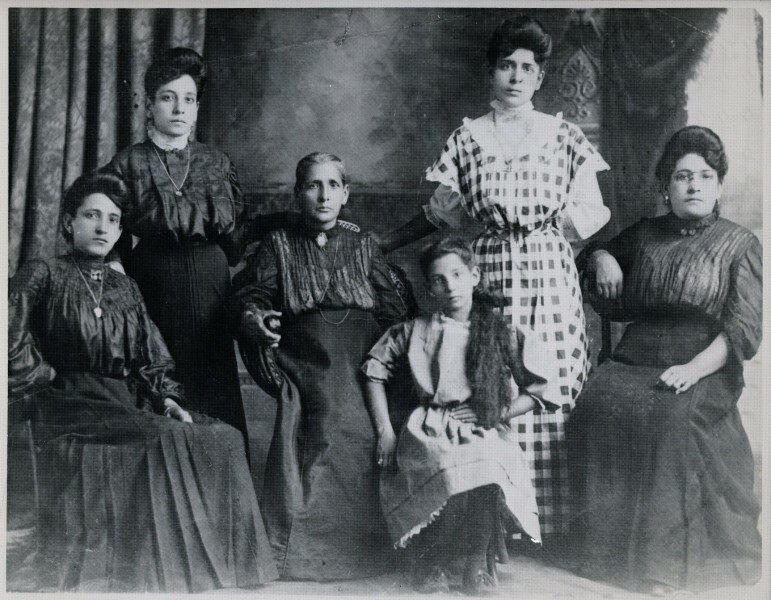 Sometime later they moved to where Marie’s aunts and cousins lived on Spruce Street. Everyone went to Saint Peters on North Broadway for Sunday Mass. The community was so religious that you could find elaborate alters set up in front of many houses and people would stop and pray. To this day there still exists an outdoor shrine area adjacent to San Conrado Catholic Mission at Bouett and Amador street where flower are changed daily and the people stop to pray and reflect. 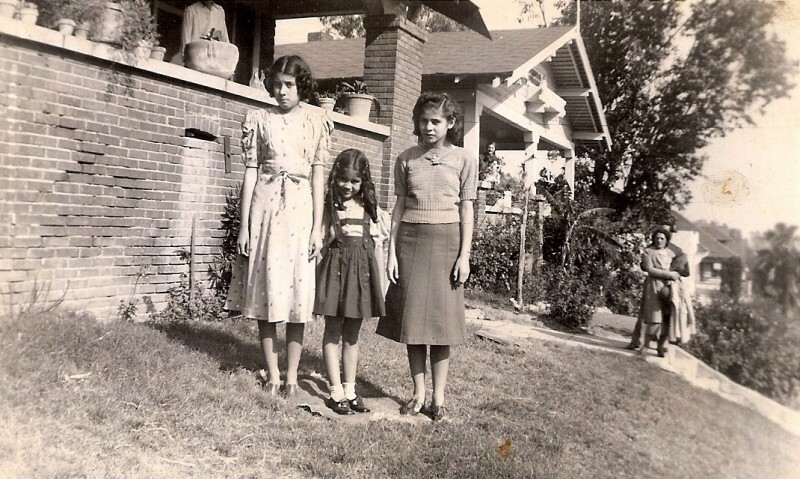 It would be seven years before their youngest, Camille Dolores was born and in about 1935, before Camille was of school age, they moved to Solano Avenue, where the two eldest girls had already attended Solano Elementary down at the end of the block and located in the shadow of the newly built 110 (Harbor) freeway. President Roosevelt had toured the tunnels and Marie loved the president, often referring to him as “Compadre” and for many years, Camille thought that the president was indeed her Godfather. Marie was a sensitive woman who was easily stressed over the struggle of everyday life. Her daughters remember her crying at the news on the radio of the invasion of Normandy. She was crying for the boys over there which probably included some of the young cousins in this close knit family. She suffered from intestinal problems as a young woman and eventually had some of her intestines removed due to blockage. She also had high blood pressure and in those days blood pressure medicine was not available. On June 21st 1944, after fifteen days at Los Angeles County General Hospital, Marie died of a cerebral hemorrhage due to hypertension. She was forty-five years old. She was buried at Calvary Cemetery on Whittier Boulevard in East Los Angeles. Her daughters remember her crying at the news on the radio of the invasion of Normandy. Later, Harry and the girls moved and rented a house just down the block, one property away from Solano Elementary. On the property between the house and school was a duplex where Velia Galinda a recent divorcee lived. Velia had actually been divorced twice already and had kids from both marriages. She was a striking woman and knew how to manipulate men. Later that same year she and Harry were married and moved to Oregon Street in East Los Angeles. Two years later his daughter Thelma would marry and move into the very same duplex with her husband Daniel. 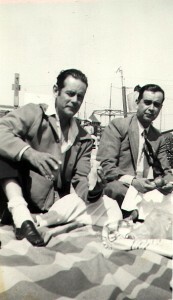 Harry and Daniel Sr. had been good friends. Daniel lived down by the Los Angeles River. The river would occasionally flood over and Dan would bring his chickens and goats and pigs up the hill to Harry’s for safekeeping. When Thelma married Daniel nobody was surprised. They had been sweethearts for many years and everyone remarked how they seemed to be made for each other. Daniel was married in his uniform and she in a beautiful white wedding dress. It would be another year before Daniel would be discharged from his duties in the 93rd Army Air Force. Harry and Velia, despite both having grown children from previous marriages, had a child between them. Harry’s demeanor was easy going but Velia’s chronic complaining and abrasive voice worked unfavorably with Harry’s girls and anyone else who was within hearing distance. Velia came with loads of trouble in the form of wild kids. Trouble makers and into heavy drugs, one of Velia’s sons Kiko, killed the brother-in-law of one of the cousins. It seems Harry unwittingly brought mayhem into the heart of the family through their marriage. This incident so shook up the city that a movie made of it during that time and it was recently written about three decades later. But of course this could be a rough and tumble neighborhood where violence and drugs were not uncommon. Harry was a kind and loving father to his daughters and the three girls tried to keep their distance from Velia’s boys and her two mischievous girls which was quite difficult considering the circumstances. Many times they found themselves having to sidestep trouble when it eventually came around. In 1961 Harry had an accident at work. He had driven a tow motor off the dock of the R.E. Sprigs liquor manufacturing facility where he had been working for the last 18 years. 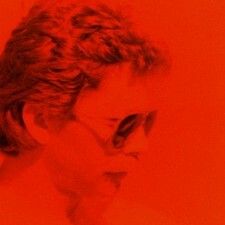 He had refused to see a doctor and died days later as he was beginning a trip back to Mexico to visit his brother Jaime. Harry’s gravesite is also at Calvary Cemetery. Well removed from Marie’s grave which is located at the far end of the cemetery. 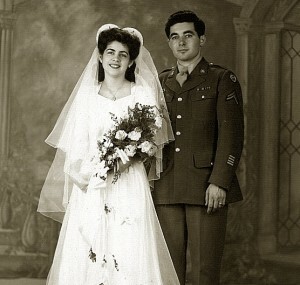 The inscription on the grave reads, “Garcia Beloved Mother and Father”. On the left hand side are the words, “Harry L. 1895-1961” and to the right is an unfilled space where Velia’s name was supposed to have been. Velia had gone on to marry what was probably her fourth time but in the end, it has been discovered she was buried with Harry according to cemetery records. Why her name was never added is anybody’s guess. In a perfect world Harry and Marie should have shared this gravesite together. Theirs was a fruitful union with three beautiful girls that brought so much happiness into their lives. Harry’s family continued to visit his brother Jaime in Autlan for many years until his death in 1990. Tragically the majority of the Llamas Garcia wealth was stolen by the ranch hand Jose, who took advantage of Jaime during his time of senility having him sign documents that he was not able to comprehend. Jaime died at 93 years of age. He was well known literally throughout the land, as the benevolent Don Jaime; the servant of the people. 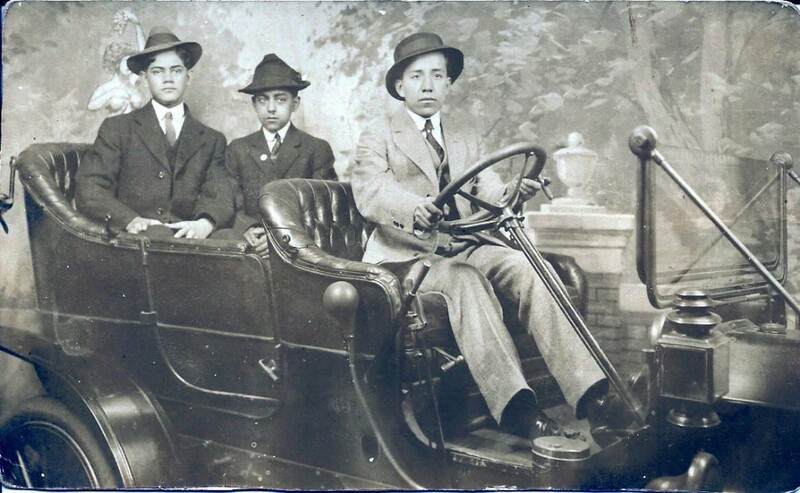 Our roots in Mexico beyond my Grandfather’s generation are somewhat vague and we are still working to find someone in the family that is still in Autlan in hopes that we can obtain more information. It is obvious that there is some French influence that has yet to be discovered. Our Grandfather’s Uncle Filigonio used to use the moniker De Borbon when writing his full name signifying his pride in being identified with the ruling class when the French ruled Mexico. And indeed it has been established that we are also related to Juan Carlos of Spain. 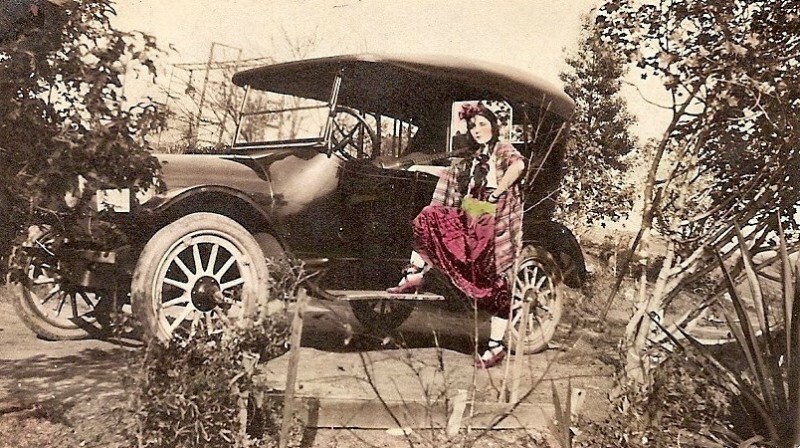 As for our Grandmothers family in Juarez Mexico, again there is still a way to go to discover Marie’ and Connie’s and our associated families in Chihuahua. Their tale must have been very interesting but very few if any of the cousins know much about our history there. In 1977 my mother, aunts, uncles and some cousins associated with the family in Juarez received a shared settlement of over six hundred and sixty thousand pesos after the sale of several blocks of properties in downtown Juarez. The documentation is an insight into our genealogy but there are still many questions and few answers. The documentation is an insight into our genealogy but there are still many questions and few answers. 2014: Today the neighborhood of La Loma surrounding Solano Avenue is the last remaining neighborhood that bordered the Chavez Ravine neighborhoods of La Loma, Palo Verde, and Bishop and it is virtually unchanged since we moved from there some 65 years ago. It is a time capsule that conjures up some very vivid memories of the parties and holidays spent at Aunt Esther’s house on the corner of Solano and Bouett. And right next door was where my Grandparents Harry, Marie and family lived. Down at the end of the street adjacent to the Solano Avenue School where my mother and aunts and the many cousins went to as children is the duplex where my parents lived when I was one year old. And right next door to the duplex is the house my Grandfather later moved to. Aunt Camille and I went up there maybe a year or two before she died and talked to the woman now living there. It seems her parents had bought the house after my Grandfather moved out and she had recently repurchased it. A recent family reunion in Elysian Park was a happy occasion that brought all us kids (and our kids) together for the first time in many years. Now in our sixties our memories take us back to when we were adolescents and our family connections to each other were much closer. Our ancestors arrived in Los Angeles at the turn of the 20th century when the city was still in its early development and we have grown and spread throughout the L.A. and Orange County areas and beyond. As the years go by it will certainly be more and more difficult to keep in touch.